We Asiajin weblog is built on WordPress, open source blog system on PHP/MySQL. Today I attended the WordPress event WordCamp Tokyo 2008, the first ever WordCamp held in Japan. 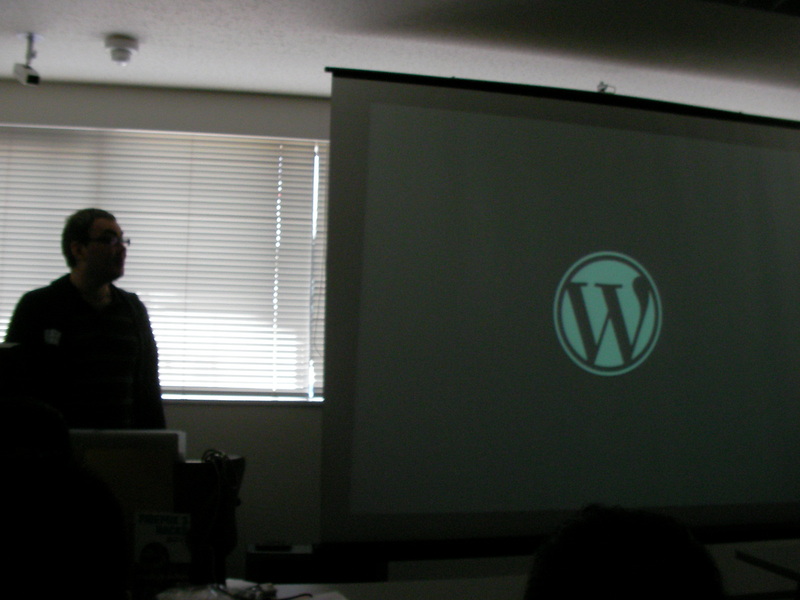 Michael Pick from Automattic came from Sapporo to talk about Automattic and WordPress relation, current statistics of users and developers, good customization samples, etc. I was not aware that Automattic has their people in Japan. I talked with Michael and became to know that Automattic staffs are working remotely from all over the world, which is cool. Unlikely US market, In Japan Automattic(WordPress) and Six Apart(Movable Type/LiveJournal/Vox)’s rivalry is not a balanced match. Historically, early stage weblog enthusiasts did great localization jobs on Movable Type (also supported by good business decisions). Although there had been many other competitors blog systems both imported and domestic, Movable Type became synonymous with blog application in Japan. Many of blog hosting portals use TypePad (e.g. Nifty Cocolog, NTT-Com), Six Apart earns much from Japanese customers so their Japanese subsidiary holds many staffs including development teams in Tokyo. So I can say that the most blogging country in the world is heavily produced by Six Apart products. WordPress is also well localized to Japanese now and gaining popularity, but not strong as them. Probably that is the reason the first WordCamp Tokyo took time in comparison with other big cities in the world. There are many blog reports in Japanese by presenters and attendees. If you want to check them, links are available on my other blog here.